Fresh for the summer, rising artist Ruth La'Ontra slows things down a bit with her new single "So Good". 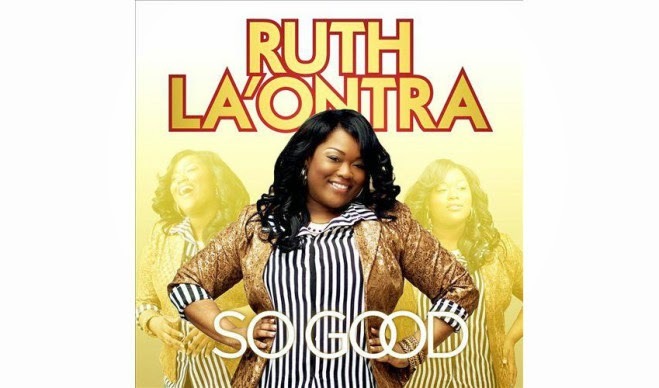 Written by Ruth, "So Good" the smooth, mid-tempo track details a conversation between God and Ruth. In the song God asks several questions like "How does it feel to know that you won't be in it alone, How does it feel to know that I love you". The chorus of the song, is Ruth's response "So Good". Even though "So Good" is a laid-back type of song, Ruth's exemplary vocals shine at the end when she begins praising God for all He's done in her life. At 4:34, "So Good" is a Must-Add song to your listeners' Summer Vacation Travel Playlist. Can't you just picture listening to "So Good" on a breezy summer day with your window rolled down?